Pure Soil accepts broken concrete, asphalt, brick, rock and block and crushes these unusable materials into environmentally safe products that can be used in a multitude of ways. These crushed products are tested both internally and by outside independent labs and agencies and widely accepted as quality construction materials. 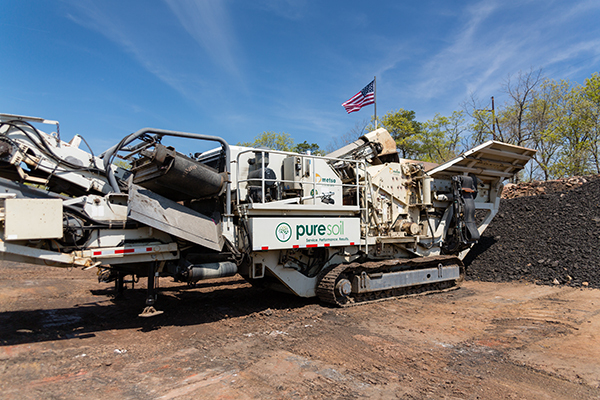 To date, Pure Soil Technologies has processed over a million tons of this material into environmentally safe, usable products. In doing so, we have saved valuable, limited landfill space. 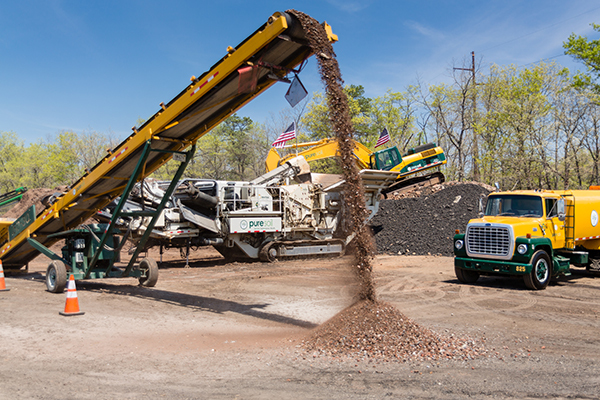 As part of our NJDEP Class B recycling permit, we also have the capacity to blend into these crushed aggregates some of our low level processed soils. This provides us with a widely used end market material for treated soils. All materials are rigorously tested both internally and by independent outside laboratories to ensure compliance on every level. 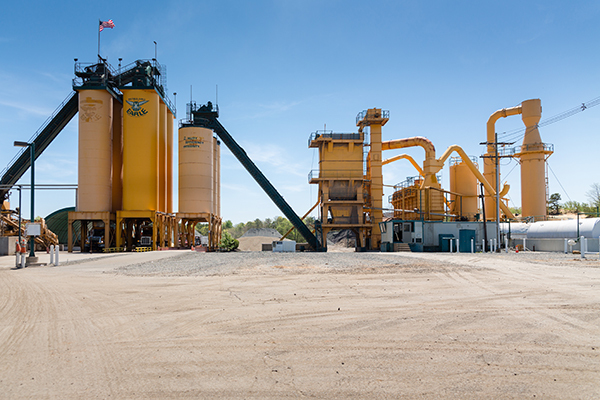 Our crushing and screening equipment is fully mobile and can be sent to large projects to process this material onsite. Many times this recycled material can then be used onsite as road base or fill for future development. 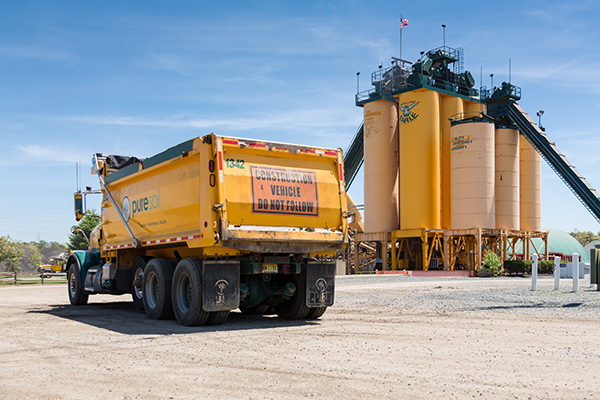 This eliminates the cost to truck and dispose of this material, as well as, the cost to purchase these products for use in the future development of the site.